If you have been playing guitar for years and hate your current day job, then this really is the ebook for you. In fact, this is the eBook I wish someone gave me when I started teaching over 10 years ago. 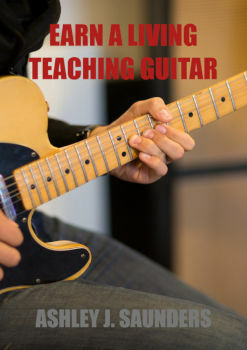 So, turn your hobby into a career and start earning money teaching guitar! Are you frustrated with working for someone else and wish that you could turn your hobby into a small business? 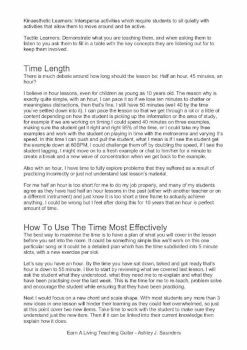 If that's you then this eBook will enable you to earn money teaching guitar. This eBook will help you with the basics of the teaching guitar. We will discuss what qualifications you need in order to teach guitar successfully. Where the best location to teach from is. 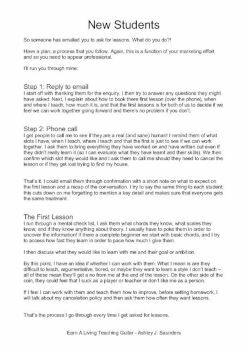 Plus, if you're unsure what to teach, then you will find some lessons plans. These are the ones I've used for years. One of the biggest fears when starting to teach guitar for the first time is what to charge students. Don't worry, I'll help you to price yourself correctly for your market. 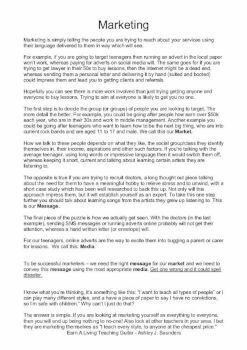 I'll help you with some killer marketing ideas, which are designed to help you attract your first few students and keep new students coming to you. Remember the biggest secret to effective marketing is consistency! In short, this eBook aims to empower you to earn money teaching guitar and quickly replace your salary within the next year or two. So get out of a job you hate and turn your passion into an income! This eBook is aimed at those want to quit their day jobs and become a successful guitar instructor.